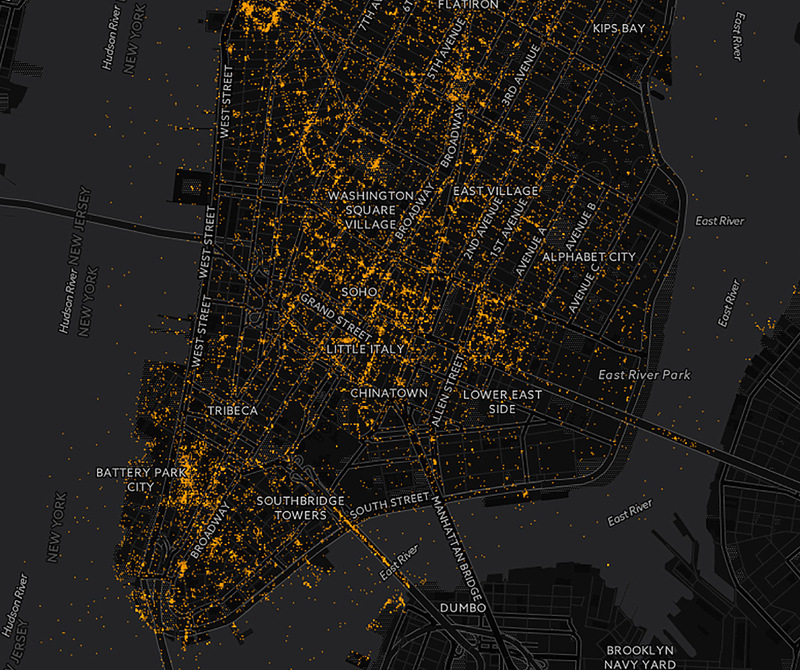 Cultural Analytics Lab: Inequaligram: How do Cities Look on Instagram? Inequaligram: How do Cities Look on Instagram? To visually show the differences in image-sharing by the city’s locals and visitors, we plot the locations of 200,000 images randomly selected from our dataset. See more images on the project web site, Inequaligram.net. How does a city such as New York is represented in millions of Instagram posts created by locals and visitors? Which parts of a city receive most attention and which remain invisible? How can we quantify and measure these patterns? We investigate these questions using methods from economics and cultural analytics. Lev Manovich and Agustin Indaco. Web site design by Dāvis Muižnieks. 2016. 5,000 word shorter version. Agustin Indaco and Lev Manovich. Urban Social Media Inequality: Definition, Measurements, and Application. In Urban Studies and Practices Journal. 2016. The ratio between a Census tract with most images and the tract with least images is staggering: 250,00 : 1. The inequality of Instagram images by locals turns out to be bigger than inequalities in levels of income, rent, and unemployment. The inequality of visitors' images is larger than income inequality in the most unequal countries.